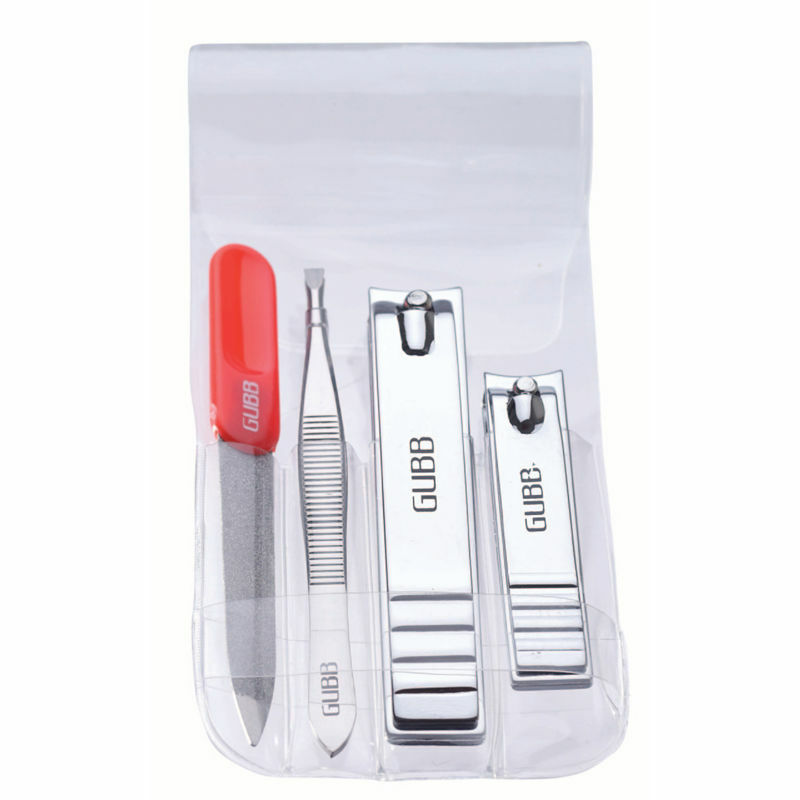 Make GUBB USA Nail Care Kit (Toe Nail clipper, Finger nail clipper and nail filer) yours to keep your nails beautiful naturally. It contains a toe & finger nail clipper and nail filer, for complete care of your nails. Gift yourself this salon-like kit and have flawless nails to flaunt. This can be your perfect travel partner. Clip your toe nails and finger nails and file them to get your nails ready to paint and flaunt to the world. Additional Information: GUBB USA, the international grooming range from "U", is a renowned name in the field of personal skin care items and brings quality products at affordable rates. 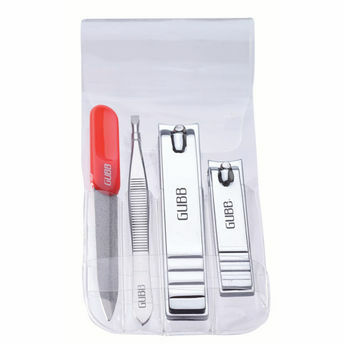 Try GUBB USA Nail Care Kit (Toe Nail clipper, Finger nail clipper and nail filer) today and see the difference! Explore the entire range of Manicure & Pedicure Kits available on Nykaa. Shop more GUBB USA products here.You can browse through the complete world of GUBB USA Manicure & Pedicure Kits .